The days of summer are upon us and they will be long and they will be bright. When basking in the sun or running from air conditioned spot to air conditioned spot, my biggest summer accessory I can't live without 24-7 is my sunglasses! Sometimes I channel Audrey Hepburn with my Ray-Ban Wayfarers, Jackie Kennedy with my big Chanel sunnies, or Gwyneth Paltrow with my Ray-Ban Aviators. But, as big as my collection is or might get, there is always room for more. 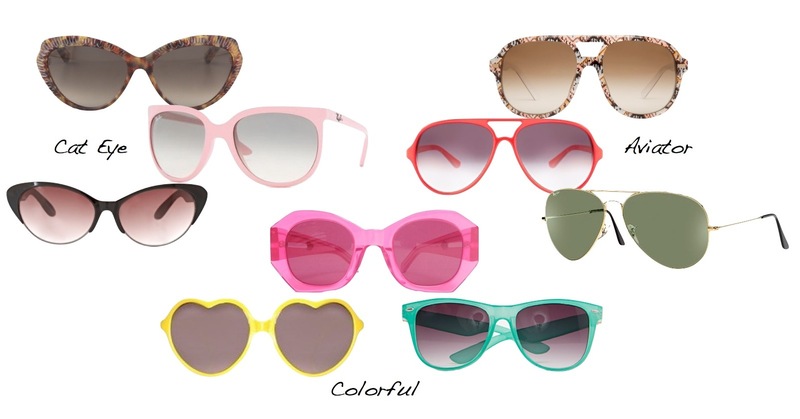 I especially love the large pink cat-eye Ray-Bans below, amongst my current favorites. What are your favorite sunglasses?